A roster of Bay Area authors lends solid street cred to 15 original stories, but few deliver on the elusive noir premise of this new series. Following the success of Brooklyn Noir (2004), Akashic has launched a set of anthologies in which each story takes place in a distinct neighborhood in a different city. In his introduction, Maravelis perhaps overcomplicates the idea when he asks, “What happens when the history of a city begins to disappear? 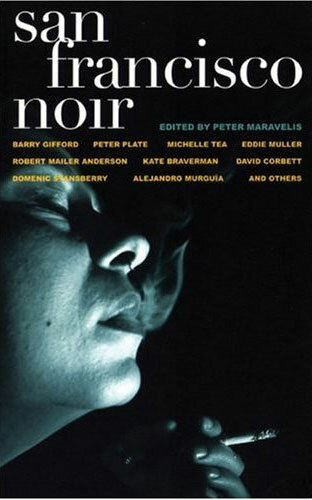 What happens to literature when it feeds upon the ruins of amnesia?” Most of the stories;by Alejandro Murguía, Kate Braverman and others;feel as if they were written for a general literary anthology, all good enough but hardly satisfying as noir. Contemporary noir titan Jim Nisbet especially disappoints, with a vaguely science fictional vignette about a futuristic suicide barrier on the Golden Gate Bridge. Saving the day, Domenic Stansberry and Eddie Muller deliver genuinely haunting noir fiction, Michelle Tea does a nice modern-day homage to the form, and Peter Plate nails down the violently absurd Willefordian side of the genre with a tale about a Bad Santa knocking over a pot club.